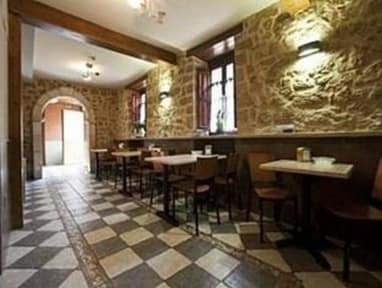 Hotel Rural Las Palmeras is located in the heart of Muskiz, a mineral area and full of culture and traditions. Rural hotel renovated in 2009, XVIII century located in the region of the Encartaciones also used as the gas makes 1942. Ideal for a holiday with your partner or family and hold conventions and meetings. Let yourself relax in our rooms and enjoy your surroundings on the terrace recently opened. Take a stroll through our website and you can see the facilities, nestled in one and only 4 km from the beach. In Hotel Rural Las Palmeras we are ready to get your needs. Therefore, we booked a room on the ground floor to give you every possible comfort. Direct access from the street through a corridor itself. Bathroom fully equipped for your needs. 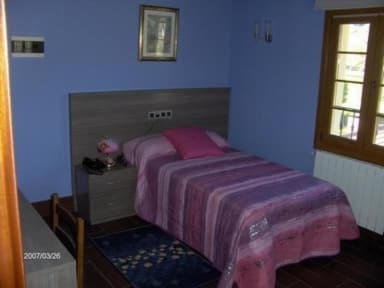 It has 7 double rooms, 3 single rooms and 1 disabled, all with heating, extra beds, satellite TV, safe, wireless Internet access, bathrooms with hair dryer. Check in Time only until one o'clock in the morning.